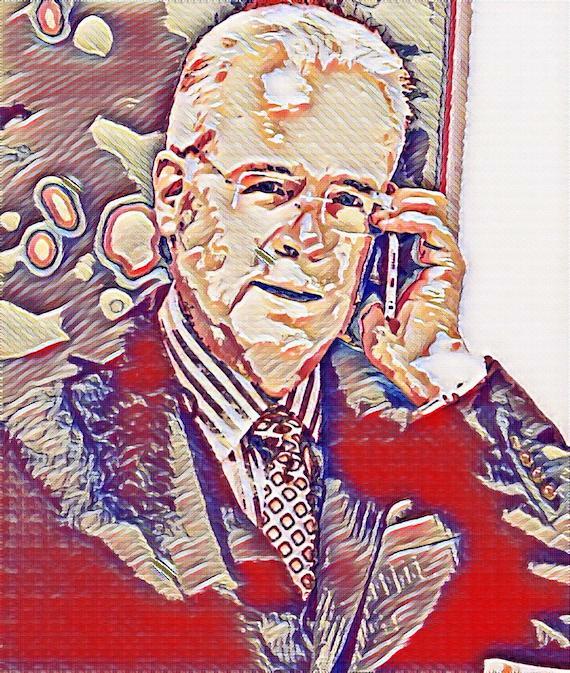 Cambridge Analytica, the data mining firm founded by billionaire and part-time neo-fascist Robert Mercer, illicitly used 50 million voter profiles from Facebook on Trump’s behalf. Cambridge Analytica also met with the Russians. Mercer was also behind building up the white supremacist rag Breitbart, and appears, despite denials, to have been close to Steve Bannon, who was a vice president at Cambridge Analytica and the editor of Breitbart. Bannon, for a while White House chief strategist, has recently been in Europe urging French fascists to own their racism and boast of it, and praising Italian dictator Benito Mussolini, whose troops killed 300,000 American and British soldiers. That is what Trumpism, which Bannon championed, stands for. The Movement For A Europe Of Nations And Freedom (MENL EUROPA) Holds A Meeting In Brussels. BRUSSEL, BELGIUM – DECEMBER 08: Former White House Chief Stratgist and Senior Counselor to President Donald Trump and CEO of the Trump Presidential Campaign, Steve Bannon speaks with journalists and delivers a speech during a conference of the Marrakesh-pact organised by Flemish far-right party Vlaams Belang at the Flemish Parliament on December 08, 2018 in Brussel, Belgium. (Photo by Sylvain Lefevre/Getty Images). Trump appointed Bannon to run his campaign after Paul Manafort was forced out over rumors that he took $12.7 in off-the-books money to lobby for pro-Russian Ukrainian pooh-bah Viktor Yanukovych, and Trump then made Bannon his chief White House strategist. Alt Right, Neo Nazis hold torch rally at UVA. 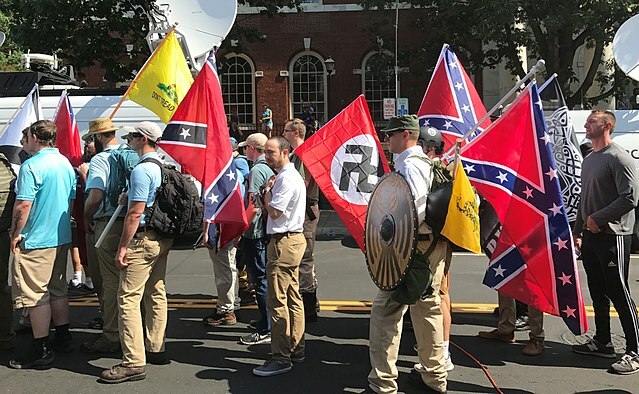 Neo Nazis, Alt-Right, and White Supremacists encircle counter protestors at the base of a statue of Thomas Jefferson after marching through the University of Virginia campus with torches in Charlottesville, Va., USA on August 11, 2017 (Photo by Shay Horse/NurPhoto via Getty Images).